49 cards illustrating expressions with intrinsic meanings. 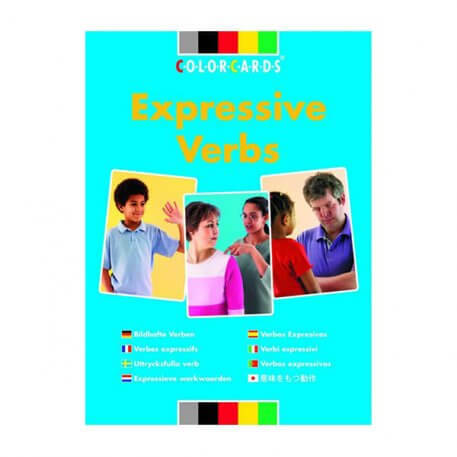 These photocards illustrate actions and expressions implying a range of states, reactions, intentions and emotions, showing how expressions and actions are used to communicate effectively. Images include: the girl is counting on her fingers, the boy is waving, the girl is sticking out her tongue, the girl is stamping her foot.